Liniar’s full colour, 94-page Specification Guide has proven to be a huge success since its launch - with fantastic feedback from customers, architects and specifiers alike. The book contains all of the information that anyone could possibly need to know about specifying the innovative company’s windows and doors, making it the perfect ‘bible’ for the Liniar range. Packed from cover to cover, the Specification Guide contains full details of Liniar lead-free PVCu products, including in-depth technical data and measurements on every different window and door in the range, ancillaries, case studies and follow up information. 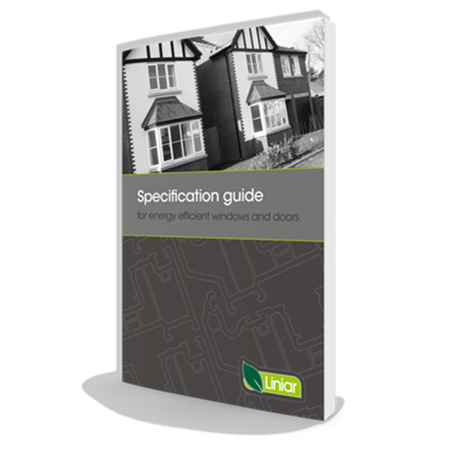 An online version of the Liniar Specification Guide can be viewed in book format and specifiers can order their own free hard copy. To accompany its Specification Guide, Liniar has also launched an online resource centre for specifiers and developers, containing a wide range of information and resources to assist with specifying Liniar profile.